Scrum halves are a very unique group of people, they have to develop the art of doing twice the work in half the time. The number nine is usually a small person with a big voice, and some serious psychological issues, a personality that allows them to bark like one of those small yappy dogs, whilst thinking they are an Alsatian. It is also said that a scrum half doesn’t shy away from a scrap, and starts them more frequently than anyone else on the team. I know these facts to be true, as you see I too was a scrum half back in the olden days, although I was not in the same league, or indeed even on the same planet, talent wise as Leanne Riley. 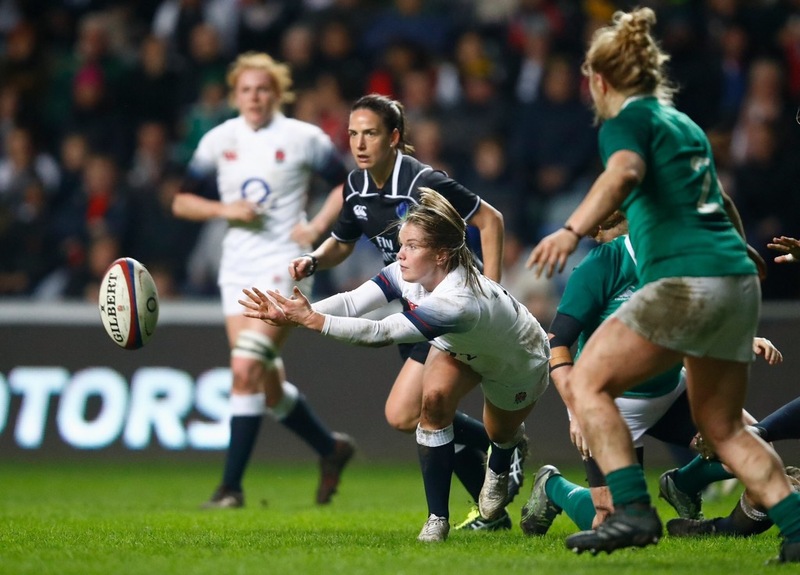 The Harlequins Ladies and England number nine, definitely has very slight elements of these traits, but they are overshadowed by a sharp rugby brain, a turn of pace and a sublime spin pass. If we continue with the canine analogy, then I guess maybe a rottweiler and greyhound mix, with a touch of sleek labrador, would be more akin to Leanne’s make up. Leanne is the heartbeat of Harlequins Ladies, always looking to raise the tempo she is the metronome on which the teams pace keeps its rhythm, using her immense fitness from first whistle to last. After a long hard season nursing an ankle injury, and enduring a cough that an 80-year-old smoker would have been proud of, a long period of rest, recovery and pampering were just what the doctor ordered, but Leanne decided to self medicate, and prescribed herself a lung busting, heat sapping, lactic acid extravaganza, and cycled a stage of the Tour de France, (I told you scrum halves have series physiological issues). It gets worse, rather than complete a relatively easy stage, freewheeling through Paris, sipping champagne, she chose the mountains of the Pyrenees, tackling three peaks in one day. This involved a 96 kilometer ride at a vertical height of 3200 metres, cycling constantly uphill for periods of around two hours in 30 degree heat, on one of the peaks there was no shade whatsoever, and they ran out of water. One of my abiding memories of last season occurred after Harlequins narrow defeat to Saracens in the Tyrrells Premier Final. Whilst everyone was visibly hurting, none more so than Leanne, it was the scrum half herself who was doing the rounds, consoling all her fellow players and fans alike, geeing everyone up, this spoke volumes about her not only as a team player, but perhaps more importantly as person. She coralled her team mates in front of the posts for a team photo, and that one act changed the mood, all of a sudden the banter returned, and there was laughter amidst the sadness. An act unseen by most and unnoticed by others, but these are the things that make the difference between a good and a great player. She started her international rugby career playing sevens, as a member of the successful England team that lifted the Challenge Cup in Hong Kong in 2012, and her full debut for the Red Roses came in 2013 against South Africa, but the Harlequins scrum-half had to wait until this years Women’s Six Nations for her first try, It came during England Women’s 52-0 win over Wales, one of her four appearances in the 2018 championship. The mountains of France have now been replaced by the Surrey hills, and cycling takes a back seat as the Quins scrum half is back in saddle for another Tyrrells Premier 15s season, which incidentally has twenty one stages, exactly the same number as the Tour de France. 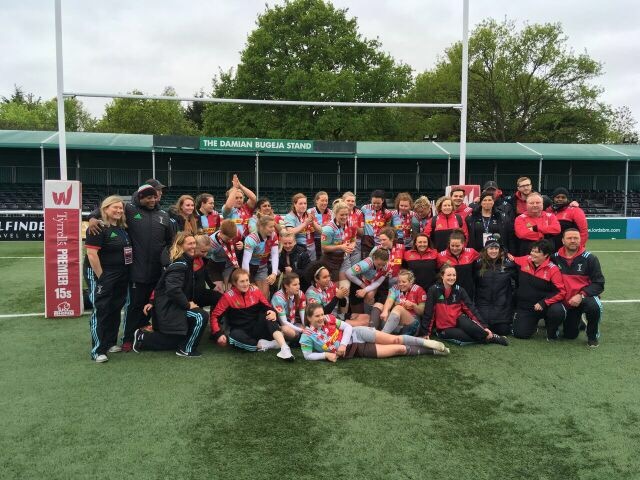 I have no doubts that this Red Rose will continue to bloom, her career is blossoming, and with her drive, determination and talent it is very likely that Harlequins Ladies will be the pick of the bunch when the Premiership reaches its conclusion next April.